Discover resources to help your child's reading skills as you go through this Webquest. Finish and you can earn a free book. 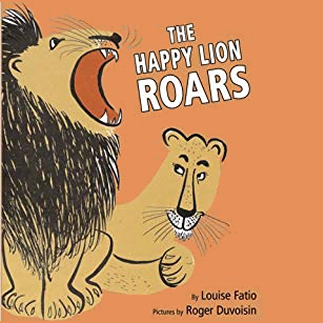 Get The Happy Lion Roars at your local Public Library. Find more books about Friends for the New Year. Reading Tip: Stop for a while if your child loses interest or gets upset. Reading should always be enjoyable.